The park also has over 130 wells, all of which have interconnecting shafts sank. This settlement and the wells were once used as a resting place by the trans atlantic slave traders of the early times. The park also has more than 59 caves located some 7km north east of Wikki camp. Other attractions are the hills, such as Kalban Hill – a flat top hill that enables tourists the opportunity to have a complete view of the park. Kanyo Hill provides a good view of the park and serves as a very beautiful picnic ground. Paliyaram Hill is a popular camp for poachers. 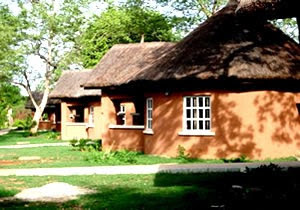 Located about 42 kilometres from the main entrance gate, Wikki Camp is the tourist centre of the park. 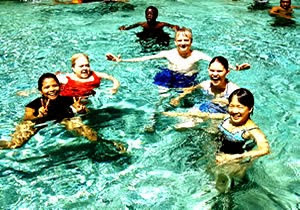 The camp was built beside and named after the Wikki warm spring, which is open for swimming 24 hours a day. It has over 110 furnished chalets varying in size and quality, from the presidential suites to the youth hostel, all of which are being upgraded in phases. The park operates a museum of wildlife trophies at the Wikki Camp and it is stocked with trophies of wildlife parts such as skins, tusks, bones, horns and full mounts of some wildlife game species of the park, an art known as taxidermy. The museum not only serves an attraction but also as wildlife conservation education centre. Also, the relics of animals, hunting gears and traps retrieved from poachers are displayed there. 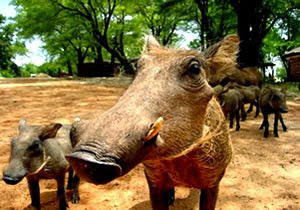 The park has more than 50 species of mammals, prominent among which are Elephant, Loxodouta african, Baboon, Papio anubis, Patas Monkey, Erythcebus patas, Tantalus Monkey, Cercopithecus tantalus, Roan antelope, Hippotragus equinus. Others are Western Hartebeest, Alcephaplus buselaphus, Lion, Panthera leo, Buffalo, Syncenus Caffer, Waterbuck, Kobus defassa, Bush-buck, Tragelaphus scriptus and Hippopotamus, hippotamus amphibius. Also, more than 350 avifauna species have been recovered in the park.